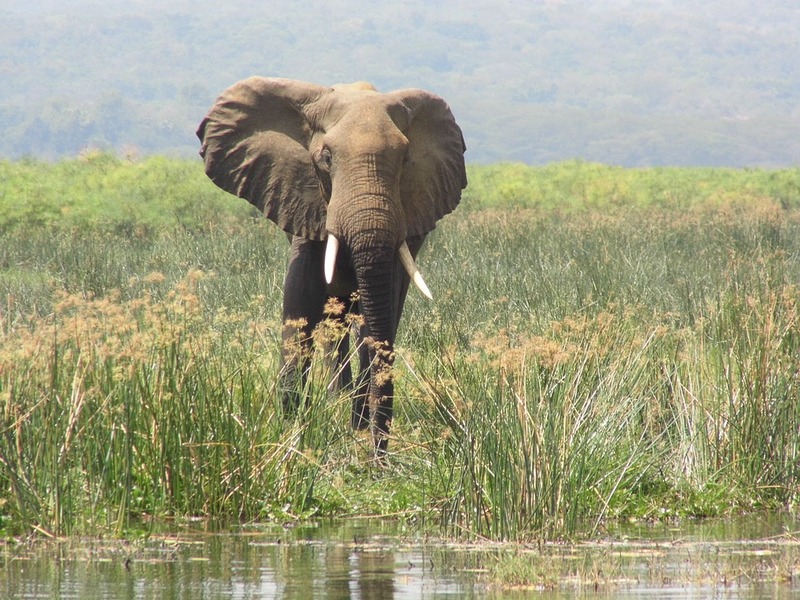 Murchison Falls Protected Area (3840 sq km) located In the northwest, approximately 90km from Masindi and Uganda`s largest national park , is comprised of Bugungu and Karuma Wildlife Re-serves. It is named Murchison Falls Ugandaafter the dramatic Murchison Falls, where the world’s longest river explodes violently through a narrow cleft in the Rift Valley escarpment to plunge into a frothing pool 43m below. It becomes a placid river whose banks are thronged with crocodiles, hippos, waterbucks and buffaloes. Savannah grasslands, riverine forest and woodland characterize Murchison vegetation. Her Wildlife includes lions, Uganda kobs, chimpanzees and many bird species that include the rare shoebill. Murchison Falls National-Uganda’s largest national park is home to a chunk of untamed African sa-vannah devided by the mighty river Nile. This park`s Wildlife populations have largely recovered from the poaching of the 1980s; in the lush borassus grassland to the north of the Nile, giraffe ,elephant, buffalo, and a variety of antelope are regularly encountered on game drives, and lion are common sight with increasing frequency. Rabongo Forest -In the southeast of the park, is home to chimps and other rainforest creatures. River Nile itself is home to one of Africa’s densest hippo and crocodile population, plus a variety of waterbirds including the world’s most accessible wild population of the rare shoebill stork. In the river sections above and below the falls Sport fishing is possible. The Nile Perch and tiger-fish are usual fun to fish by anglers. If you intend to do sport fishing, prior booking be made, since only a few can carry out this activity at designated sites at any time. Please carry along your own fishing equipment. Available are some boats for hire on prior booking for those who need a boat cruise.